Although fires and incidents where damaged batteries are suspected to be the cause make dramatic news, they are not systematically recorded. EERA conducted a survey among its members to gather data and the results were quite frightening. EERA asked its members for detailed information regarding their experience with these fires and related incidents. Of the 80 % of members who experienced serious fires only a third considered these incidents to be minor. 61 % of the fires were classified as serious or very serious. Most fires (two-thirds) required the intervention of external firefighting services. Most fires broke out during unloading and storage of waste electronic devices (59 %), 30 % of incidents occurred during treatment. Fires during the transport of WEEE accounted for 11%. Fires for which batteries are suspected to be the cause have a large impact on the economics of recycling. 86 % of EERA members had to invest into major changes to their operations or are planning to do so in the next 12 months but often are facing resistance by customers to achieve higher treatment charges. Almost half of these modifications are considered large investments, but procedures and staff training were also required to be modified. Some companies reported requirements of additional staff. Operational changes resulted in reduced storage and treatment capacity and increased treatment costs. 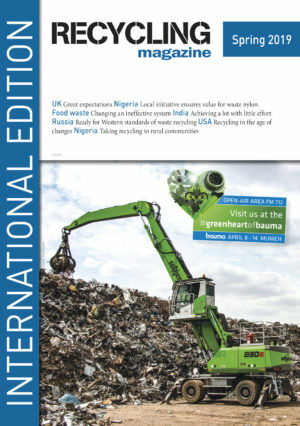 79 % of recycling companies complained that they were not able to compensate these higher costs with higher treatment charges. Indeed 89 % of respondents said that their customers are not willing to accept responsibility for the problems caused by batteries in WEEE and to accept the costs. A staggering 62 % of recyclers also stated that their authorities do not understand the difficulties and hazards associated with these high-risk batteries. EERA calls the fact that most fires start at unloading or storage clear evidence that the problems start at the collection of WEEE. 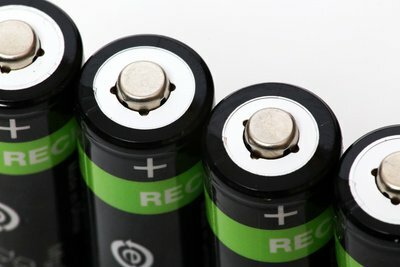 EU-wide legal requirements for the collection and transport of lithium type batteries or devices that contain such batteries are in place (ADR – The European Agreement Concerning the International Carriage of Dangerous Goods by Road) but these regulations are not widely accepted and followed. EERA reports that in only half the member states where EERA members are working, ADR rules are implemented. In some countries, compliance with ADR is only in preparation. ADR clearly rules that devices that contain lithium batteries must not by carried in bulk containers. WEEE suspected of containing lithium type batteries should be stored and carried separately in suitably protective containers according to the provisions listed in the ADR Regulations. According to the survey conducted by EERA among its members producers, national compliance schemes and collection centres are only partially aware of the risks associated with lithium type batteries and are reluctant to enforce ADR rules despite these rules being legal requirements. EERA calls on national authorities, producers, compliance schemes and collection centres to comply with ADR regulations. WEEE that contain lithium type batteries must be separated at collection points. These devices must be carried in suitable containers that offer protection to devices and batteries against physical damage. Considering the significant external cost increase related to fires and similar incidents caused by batteries (for fire abatement, health and safety as well as insurance), EERA holds the position that these costs considered in the negotiations of contracts with compliance schemes and producers. Plastic Energy Limited, has reached an agreement with the province of West Java (Indonesia) to build five chemical recycling plants.